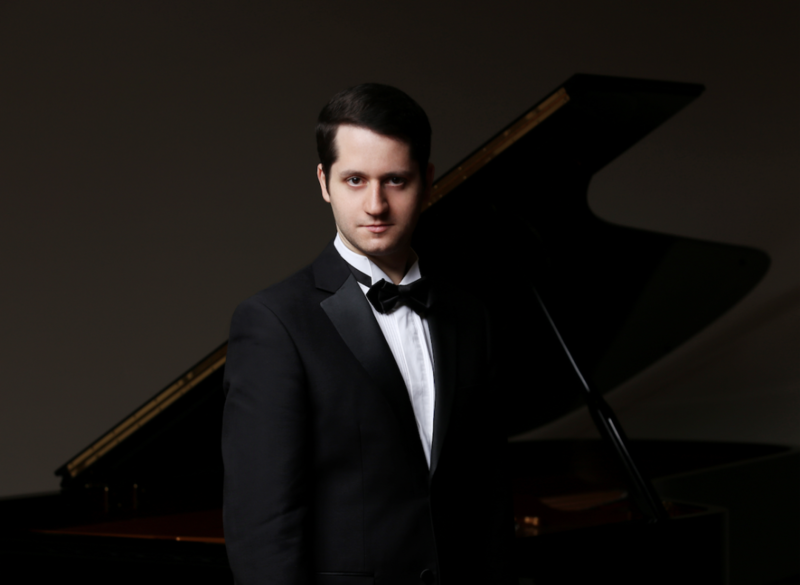 Pianist Nikita Mndoyants is checking many milestones off his checklist as a young artist. So far, a major win at the Cleveland International Piano Competition in 2016, a debut at Carnegie Hall in June 2017, and now the biggest stamp on his legacy yet: his debut album on the Steinway & Sons label. Similar to Mndoyants’ impressive Carnegie Hall debut, this album’s program follows the same composers in their respective period order. In fact, two of the same works by Beethoven and Schumann were performed in that June concert. Beethoven’s Bagatelles Op 126 represents the same kind of immediacy that another late period Beethoven work did as well: the iconic Symphony No 9. Mndoyants brings out a tender fluidity to Beethoven, which contrasts other pianists who tend to zero in more on the stoic early Romanticisim that can be easy to fall into. Each movement is a distinct shift in spirit where the brisk movements showcase Mndoyants’ technical mastery and the slower movements offer us a sensitive musical intelligence. Schumann’s Davidsbündlertänze has been said to be where his writing was the closest to wearing his emotion his sleeve as you can hear in his solo piano repertoire. When you consider that these sets of movements where composed as he was reconciling with his beloved Clara Wieck, the range of feelings reflect an even more anxious Schumann. The swift transition from the dreamy Mit Humor to the neurotically paced Wild und lustig perhaps describes his mood in a nutshell. Mndoyants was never more expressive than in this work, as he effectively communicated Schumann’s conflicted personality through both the playful and thoughtful sides. Prokoviev’s Sarcasms comes in like a ton of bricks after Mndoyants’ sensitive Schumann reading. These are indeed sarcastic pieces that have much brashness in the first four movements. The real sarcasm lands in the understated yet mysterious final movement that ends the album with a wink to the listener. Mndoyants performs the swift set with a second nature confidence and turns down the volume a bit in Prokoviev’s over the top stylistic flair, without a drop in its intensity. When it comes to the sequencing of the album’s program, I tend to enjoy more of a mix-match in which the composer’s works aren’t confined to being in order of their musical period. In the case of Mndoyants’ debut on the Steinway & Sons label however, this particular sequence works most successfully. Mndoyants’ mature portrait of these treasured piano works (spanning nearly a century between the Beethoven and Prokoviev works) points us towards many exciting interpretations to come.